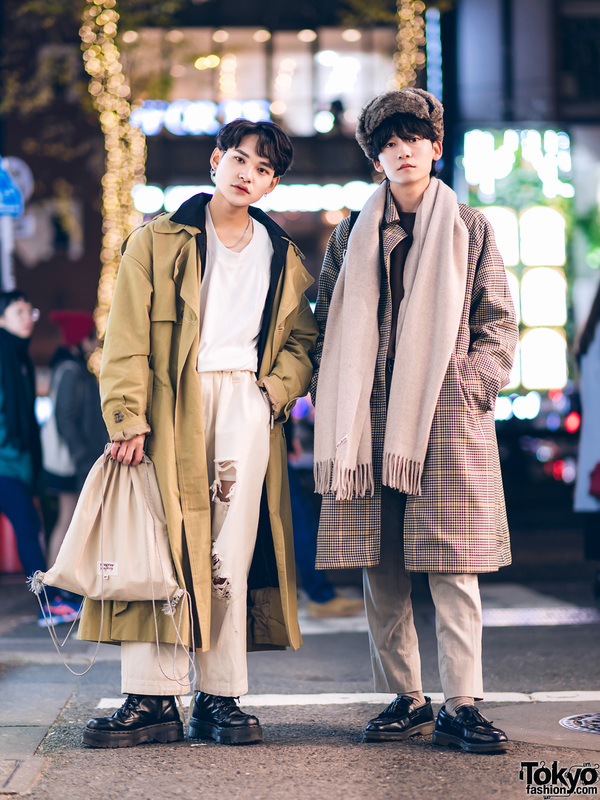 Harajuku guys sporting light-colored winter streetwear styles with layered coats and houndstooth print coat while out and about on the street. 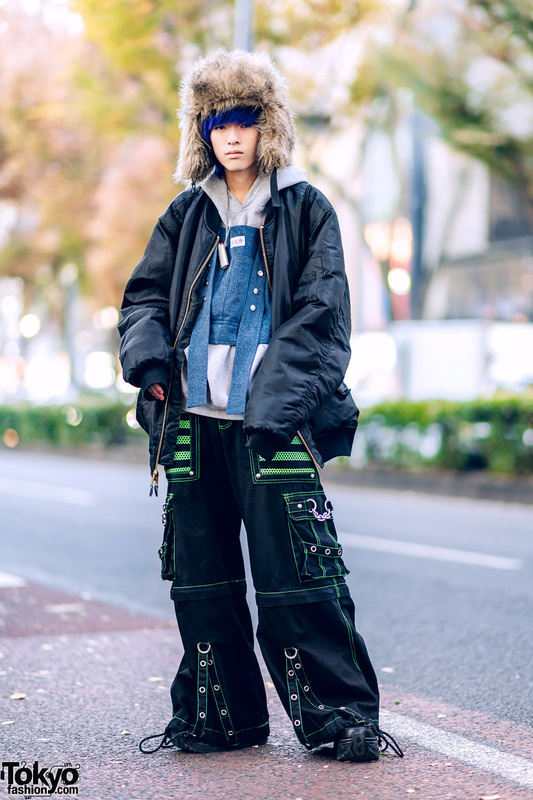 Japanese student wearing a brown furry hat, an oversized jacket, and black pants in Harajuku. 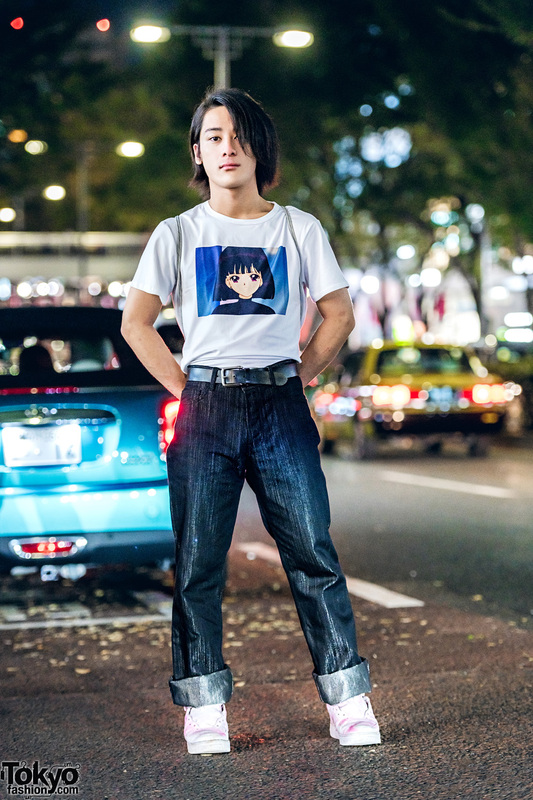 Harajuku student wearing a white anime print shirt, cuffed denim pants, white sneakers and a neon green backpack. 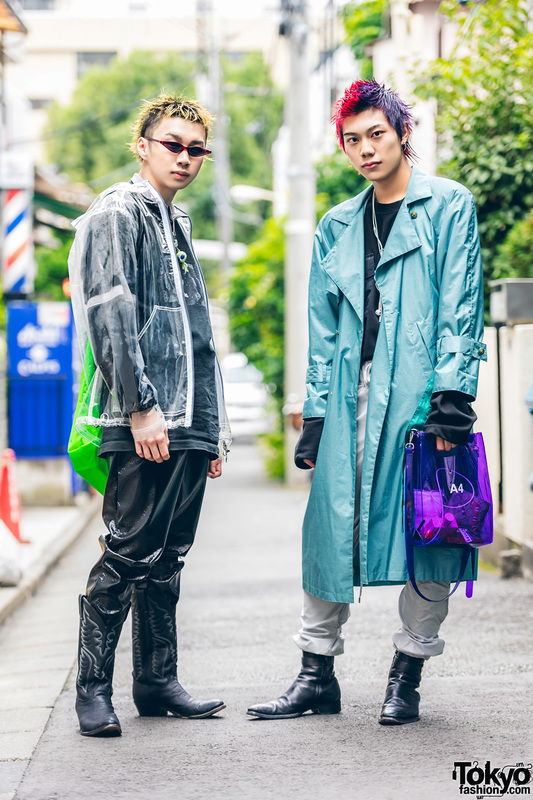 Harajuku guys sporting slick outerwear streetwear styles and colored hair while out and about on the street. 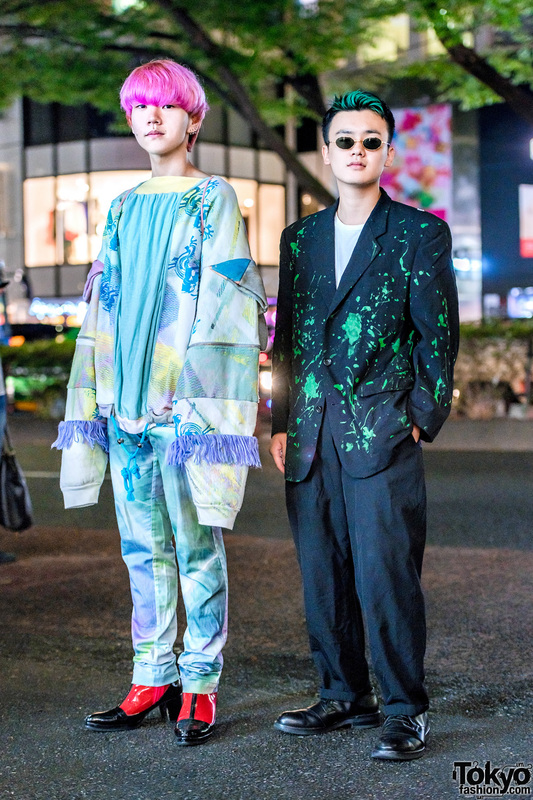 Japanese fashion designer sporting an avant-garde streetwear style while out and about ont he Harajuku street one evening. 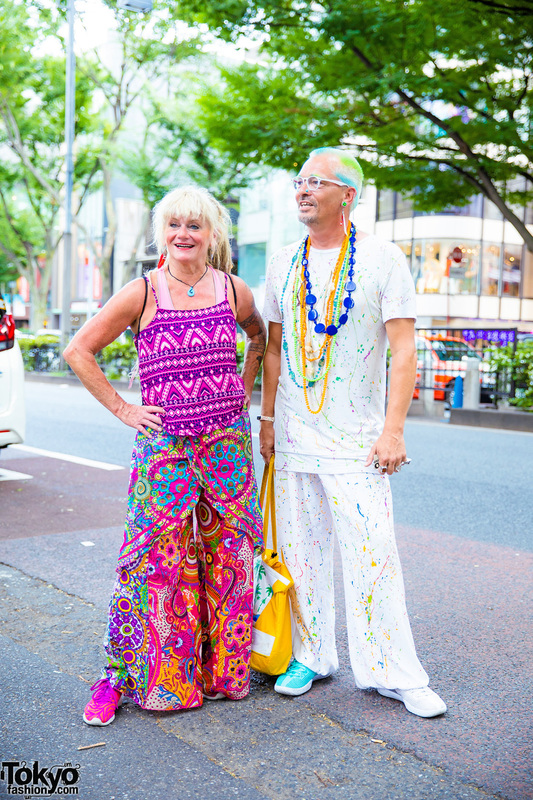 Harajuku guy wearing a white and purple ensemble while out and about on the street. Duo sporting colorful vintage styles with multiprint tank top and pants, paint-splattered t-shirt and loose pants, and Nike sneakers. 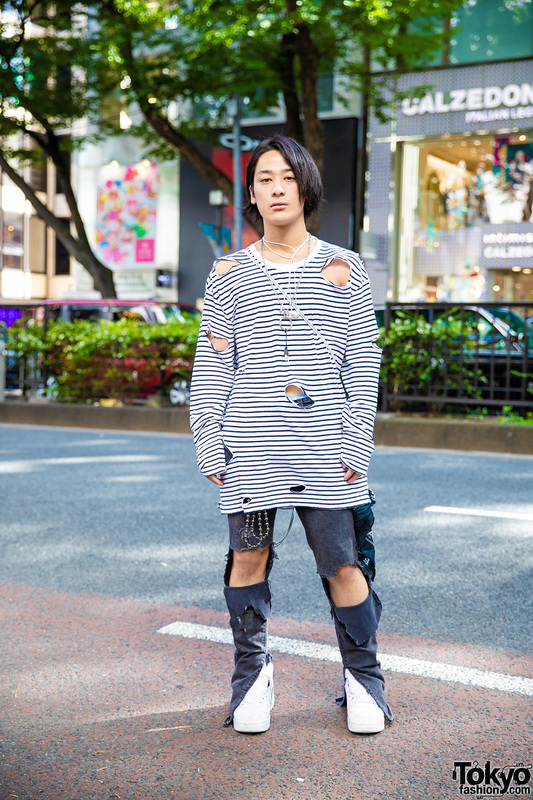 Harajuku teen clad in a casual distressed look with striped cutout sweatshirt, denim pants, and white sneakers. 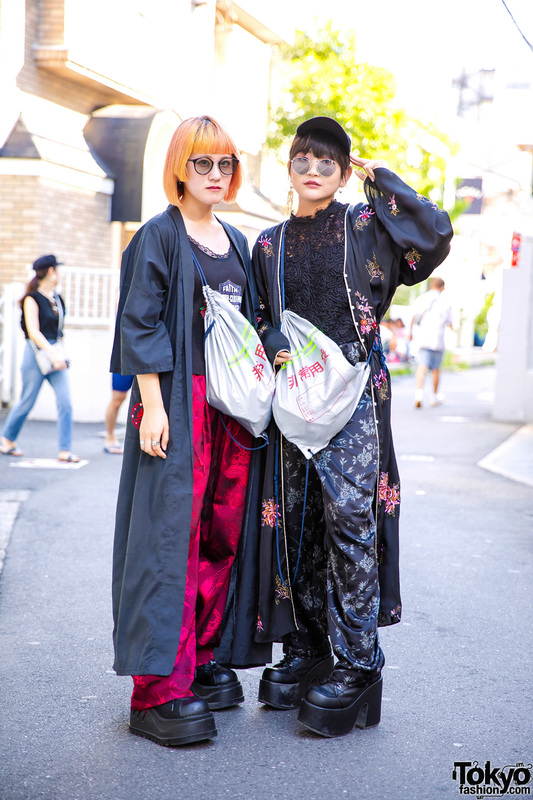 Harajuku girls dressed in long coats, lace tops, satin pants, platforms and drawstring backpacks.